A reputed mobster’s plan to bust out of a Brooklyn jail involved dental floss, a bed-sheet rope and a priest, prosecutors are charging in a bizarre new indictment. 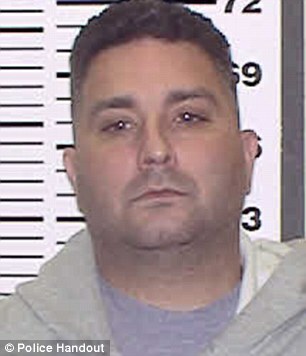 Lucchese crime family “soldier” Christopher Londonio — who has been locked up in Brooklyn’s Metropolitan Detention Center since February on murder, drugs, firearms and racketeering charges — planned to either use dental floss to saw his way out a window or get a priest to smuggle in a real hacksaw, according to Manhattan U.S. Attorney Joon Kim. Londonio’s crackpot scheme also involved stockpiling bedsheets and tying them together as an escape rope, Manhattan prosecutors say. “Someone facing federal charges of murder, extortion, racketeering and a litany of other crimes may feel a certain desperation to attempt breaking out of jail to avoid justice,” said FBI assistant director William Sweeney Jr..
His plan fell through when another inmate reported the plan to jail authorities. The 43-year-old Hartsdale man faces life in prison or death if convicted on his prior charges and the new escape charge could add another five years to his sentence. He is due back in White Plains court on Sept. 20. His lawyer, Charles Carnesi, did not return a request for comment.